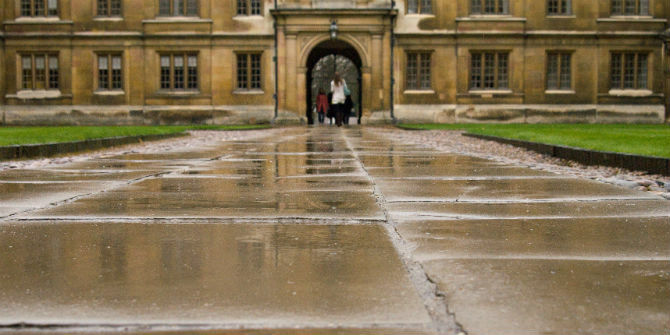 A predicted exodus of EU academics from British universities has not yet materialised. Helen de Cruz (Oxford Brookes University) discusses why – despite the uncertainty hanging over their future status and rights – the ‘brain drain’ has not really begun yet. Finding new posts, especially at a very senior level, can take time; hiring systems elsewhere in Europe are opaque and sometimes not meritocratic; many academics have put down roots in Britain; and other Anglophone destinations are not always attractive. I was at an academic conference in Europe a few months ago, where one of the keynotes was an eminent EU academic who works at a UK Russell Group university. She has won international awards and prizes, and recently also a large research grant from the European Research Council. As we were at the conference dinner, the conversation inevitably turned to Brexit and the government’s shambolic treatment of EU citizens as negotiating capital. “The government is taking us completely for granted, it’s inhumane”, she said. I asked whether she was thinking of moving out of the UK. To my surprise, she was not, and she was taking steps towards British citizenship. Just to be safe. Given how the UK treats EU nationals, why isn’t there a mass exodus of academics? Full-time lecturers have suffered a staggering pay cut of 21.5% since 2009. UK academia is more precarious than in many EU countries that have more protective labour laws, with a Sports Direct zero-hour contract model and “associate lecturers” who have no office space or pension rights, who are being paid meagre sums, or even food as payment (in Oxford). UK academics are among the least happy with senior management in Europe. A recent survey among over 6000 academics revealed the mean satisfaction with leadership to be under 10% (and in no instance was it over 40%). Imagine any other industry where people have such staggeringly low confidence in leadership. Several studies show UK academics to be among the most unhappy academics in the world. One recent survey (open access version here), among 19 countries (e.g., Germany, Korea, Australia, the UK), shows UK academics to be the least happy, at the bottom of the league table. The UK has an unenviable combination of low pay, high stress, a managerial culture (which requires academics to comply with arbitrary requirements of REF, TEF, the “student experience”) and low job satisfaction. So why the lack of exodus? Due to the factors mentioned above, the brain drain is already happening now albeit slowly especially at the senior level, as I witnessed while working as a postdoc at Oxford University. I saw senior positions go unfilled for months at the time as favoured candidates (usually from research-intensive American programs) declined offers they deemed not good enough. I also saw several prominent academics leave Oxford, in part due to the low salaries, high housing costs, and high teaching and admin load. Salaries and working conditions in the UK are such that it is becoming increasingly difficult to attract the “brightest and best”. Especially at places like Oxford and Cambridge, the remaining candidates are UK-educated (usually at Oxford and Cambridge). While these are wonderful places with a strong research culture, it is worrisome for intellectual diversity that UK academia is missing out on senior people from elsewhere. A brain drain takes time: academics cannot just up and leave. They need time to build out a new network elsewhere. This is especially the case for senior people (at the level of Reader and Professor) who wish to move. Senior hires are expensive and the new host institution needs enough information on the candidate to see if a hire will be a good investment for them. Many EU countries have opaque hiring systems. It is very difficult for an outsider to find a job there (see here), and even those who were educated (at least in part) in these countries find the hiring system unmeritocratic. Italian academics have frequently told me that jobs that are advertised are not truly open. Some people are willing to go along with this, hoping it is “their turn” one day. But for other Italian academics, a transparent and more meritocratic system like the UK offers a real opportunity. As can be seen in this report, there are over 5000 Italian nationals working in UK academia, many of whom work in prestigious universities such as Oxford, Cambridge, and University College London. Note though that in this large recent survey among Italian academics in the UK, over 80% are pondering to return to Italy or to move to another EU country. Some EU countries have pyramidal hiring systems, e.g., in Germany 85% of positions below Professor are temporary. It takes until one is in one’s early forties before an academic finds out whether she can stay in academia. This is psychologically taxing, and thus only very senior UK-based academics who have already the equivalent of the habilitation (the kind of doctorate after the doctorate, usually based on a monograph) would consider the jump to Germany from a permanent UK-based post. Language barriers are lower for the UK than for many other EU countries (Ireland is an exception), because English is not only a popular second language but has also become the de facto language of science and scholarship. Thus, non-UK based academics already have a good working knowledge of English. In an attempt to widen their search pool, some searches I have seen in Denmark, Germany, the Netherlands and Belgium do not require knowledge of Danish, German or Dutch, but ask that the applicant speaks it fluently in three years. That requirement has struck me as unrealistic. And of course, in many other systems (e.g., France), you need to already speak the language fluently. Guns and Trump might be putting academics off from applying to the US. US research-intensive universities have better pay, less admin, and often also a lower teaching load compared to UK institutions of similar prestige. It poses no language barrier and has a relatively transparent hiring structure. In my personal experience (this is anecdotal, so take with a grain of salt), UK-based academics are still hesitant to go to the US because of Trump and guns. While the risk of being shot is still lower than the risk of dying in a car accident, the regular news of mass shootings, especially campus mass shootings, is not exactly a pull factor. And Trump, a phenomenon not unlike Brexit, is also putting people off. Australia, New Zealand, Singapore, etc. are too far away. Again, this is my personal experience, but it seems to me that UK-based EU academics seem hesitant to move so far away that visits to family and friends on the continent become very onerous. Canada is attractive (no guns, no Trump, Trudeau), but it is a small market compared to the UK and the US, and it has laws that require universities to discriminate on the basis of Canadian residency/nationality (there are exceptions, but it remains tricky). This means in practice only a few, very high profile positions (such as the Canada Research Chair positions) are open to non-Canadians. Although the mobile workforce of EU citizens might be regarded as rootless cosmopolitan citizens of nowhere, many EU citizens have grown roots in the UK. This includes, among others, marrying British citizens, having children who go to school in the UK, a mortgage, friends, etc. It is a tough decision to give all this up for another jump that will leave one without a good support network. So many EU citizens are waiting and seeing whether their rights are secured, and whether it will look like UK academia will be hit by a no-deal or bad-deal exit. Rather that, than uproot themselves. But many are looking at the news and assessing when would be a good time to leave the sinking ship. I’ve offered reasons why the brain drain isn’t happening yet in spite of the UK’s awful treatment of EU nationals working there, and in spite of the bleak prospects for UK academia (loss of Erasmus, of the Horizon 2020 programme). EU countries could, if they wanted, sweep up UK-based academics with an excellent track record in research and grants. While there is no exodus yet, I am not exaggerating that almost every EU citizen who works as an academic in the UK I have spoken to is contemplating to leave. Currently they’re waiting and seeing what the negotiations bring. But if there is no deal on citizen rights and UK academia will lose out, Trump and guns might not seem so horrible after all. For many, it has become an issue of when, not whether, they’ll leave the UK. This post represents the views of the author and not those of the Brexit blog, nor the LSE. It first appeared at Medium. Helen de Cruz is senior lecturer at Oxford Brookes University. Her main areas of specialisation are the philosophy of cognitive science and the philosophy of religion. The author makes an inflammatory statement about the way the UK treats EU nationals with zero justification. In fact, any intelligent person can see that all EU Academics based in the UK are going to continue being welcome and those in the EU will be welcome after Brexit. Staying, if you are already here, is a simple admin matter. The truth is British universities, if you are truly interested in academia, are fabulous places to work and study. I am surprised the LSE allows this sort of nonsense to get published. There is ZERO brain drain in Academia or Banking in the UK for the simple reason that there is no sensible reason to leave (unless you have personal circumstances). 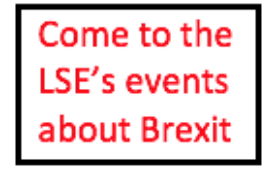 I will heartily predict that Oxford, Cambridge and the LSE will continue to attract students and lecturers well after Brexit for all the same reasons they attracted students and teachers before we joined the EU. What a staggeringly inept article. The author essentially lists a slew of reasons why the U.K. is a highly prized location in academia (English language, presumably non-opaque hiring systems, location etc), then lists why many EU countries are not. Brexit is then crowbarred in despite no clear relevance to any of the arguments. In addition, the reasons academics should leave the UK according to the author also appear to have nothing to do with Brexit (high housing costs – despite the prediction that these should fall after Brexit according to economists, work load, stress etc.). Just a load of idealogical nonsense trying to justify the failed prediction of an academic brain drain. The author also appears to fail to grasp the basic fact that it is the EU’s stance on citizens that is preventing a deal being reached. Finally, the author’s bias, as if it wasn’t clear already, is fully revealed in the juvenile “Trump and guns” statement. “Despite predictions, academics overwhelmingly choose to remain in the UK” may have been a better title. This article highlights many of the reasons academics are likely to stay in the UK, none of which will be affected by Brexit in any meaningful way. 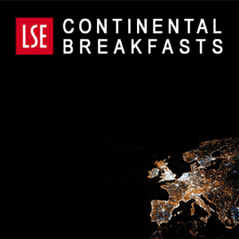 It’s disappointing to find this published on the LSE website since it contains several false assumptions and generalisations. 1. As the author rightly points out: “many EU countries have opaque hiring systems. It is very difficult for an outsider to find a job there”. Whereas only a handful of EU countries, including the UK, Netherlands and the Scandinavian countries to varying degrees, have really opened their academic labour market. Germany and Italy remain academic fortresses. Again the writer notes that “in Germany 85% of positions below Professor are temporary. It takes until one is in one’s early forties before an academic finds out whether she can stay in academia”. What is more, academics must finance the publication of their first monograph. It is no surprise that Academic remains an elitist institution. 2. The “Guns and Trump” comment reflects the author’s anecdotal experience that the US is not really a place where European academics feel at home. This implies that they feel safer in the UK for the opposite reason: there are very few guns and no trump. The author skates over the uncomfortable truth: the UK is a good place to live/work/study across a range of metrics (but certainly not housing costs…). The only thing Brexit has in common with Trump is that the author (presumably) opposes both. 3. “Australia, New Zealand, Singapore, etc. are too far away” and whilst Canada “is attractive (no guns, no Trump, Trudeau), […] it is a small market”. A very practical observation. One might suggest this expresses an isolationist, Eurocentric perspective on academic life. Again, opaque hiring practices elsewhere mean that the UK is the best option for European academics to build a career, despite their complaints about housing. 4. The author assumes that the UK will not participate in Erasmus after Brexit. Recently, the UK and Canada have signed several agreements to further all kinds of cooperation. Whilst the author may find fair Canada to be a provincial backwater, many students at UK Universities would relish a valuable work placement or exchange year in Canada, Australia or Singapore (perhaps even guns and trump land). This would be a far better use of their time than an Erasmus year / semester in [EU 27] where the grades do not count and students attend (often superficial) lectures taught in English, rather than attend core courses offered in the local language, which tend to be more serious. In summary: Despite the predictions of an exodus, this has not come to pass. Whilst academics in Europe do not like Brexit (and don’t we know it), the UK remains a best-fit for these people for the reasons the author highlights. What happens in Academic is a storm in a teacup to the majority of the world’s population. History is long, so let’s wait to see the facts, reflect and be level-headed about all this. What a splendidly reasoned and well-written response. Thank you. I’m willing to bet that a lot of very bright academics will go to Switzerland to work at CERN. The people who voted to leave the EU were warned. CERN is not an EU institution and Switzerland is not an EU member. Try again. This is not unusual though is it in Brexit? Lots of scare stories and predictions of doom but then the actual facts show little or no change. What is unusual is how many academics, who are meant to be evidence based, are making such a fuss and making so many hyperbolic statements.